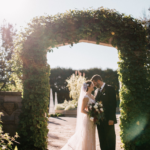 Today was another sunny and cool day with lots of action at the Horticulture Center and out in the gardens. Pat M. went out for more serious pruning which involved some significant “ladder work”. Kathy P. was out cutting back ornamental grasses and doing some general tidying. Vern came in for some carpentry work which included progress on his “giant rulers” (for the Jungle Garden). These will allow guests to track the increasing height of our tropicals in that space. Gena and Myrt continued on more painting and Dr. Gredler came in to help out as well. Cindy, Kay and Bev D. worked on processing labels for the Spring Plant Sale (only 7 weeks away!) and Chuck S. made some recycling runs. Darcie and Karen worked on some Horticulture Therapy projects that will be incorporated in to our August 11th program (Incorporating Gardening Into a Therapy Program) and Kris K. was over and getting prepared for our big Spring Symposium this Saturday featuring Peter Hatch (Head of Gardens and Grounds from Thomas Jefferson’s Monticello, retired), Kyle Cherek (Host of Wisconsin Foodie) and yours truly. Jumbo Jim worked on garden clean-up with some RECAPPERS this afternoon as well. We also saw Carole, Dr. Yahr and many others today. Due to afternoon meetings, I likely missed some volunteers later in the day but we had a great turnout and everyone has caught “spring fever”. 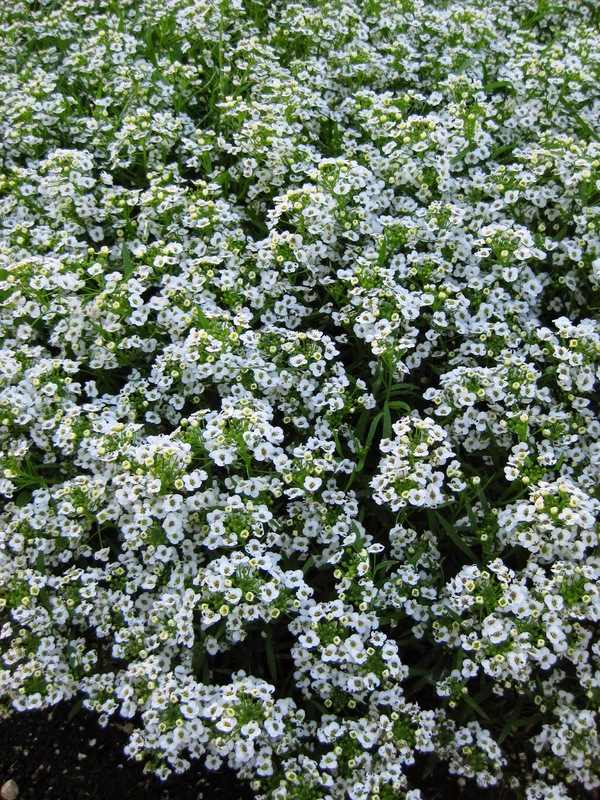 I love sweet alyssum (Lobularia maritima). Let’s start with that. 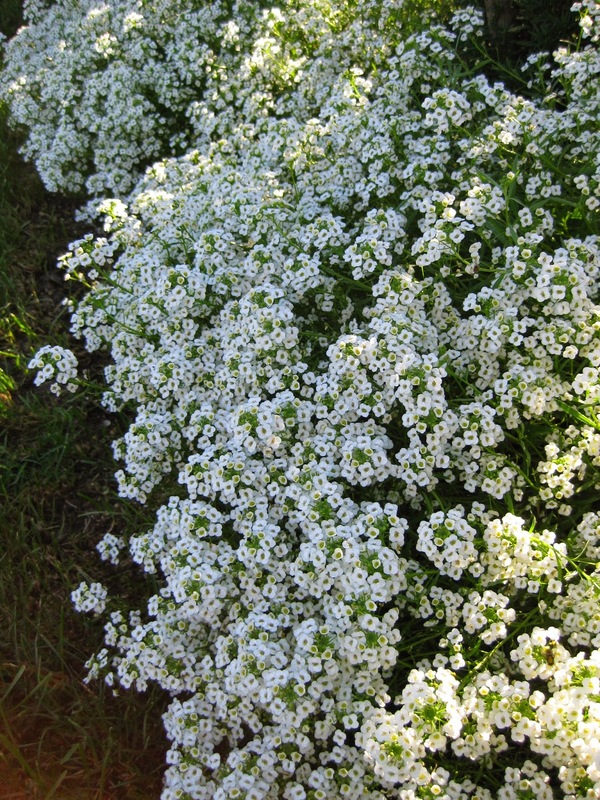 This annual blooms like crazy all the way through the fall and will take some light frost. 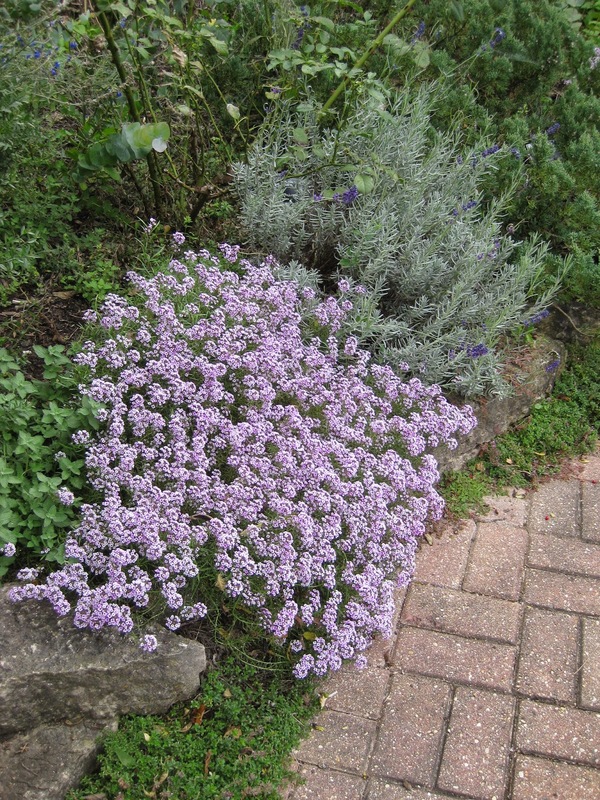 Above is the variety ‘Lavender Stream’ which looks like this from mid June until early October for us. 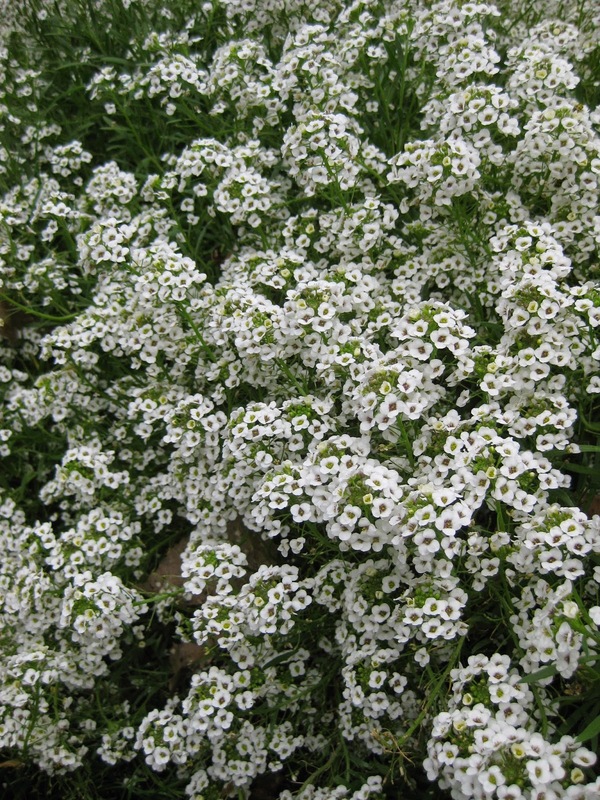 These are very easy to grow from seed although there are now some vegetative varieties (purchased as plants). 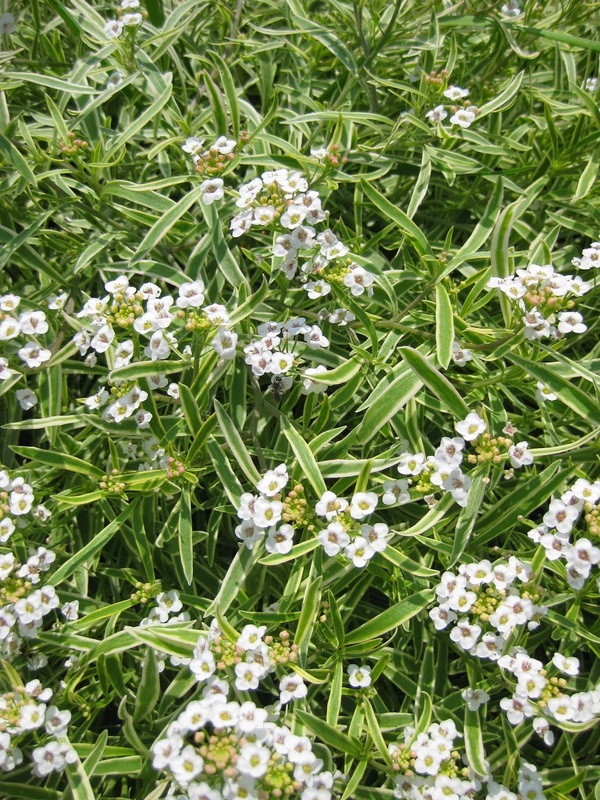 These plants are sweetly scented, particularly at dusk and rarely get over 10″ tall. 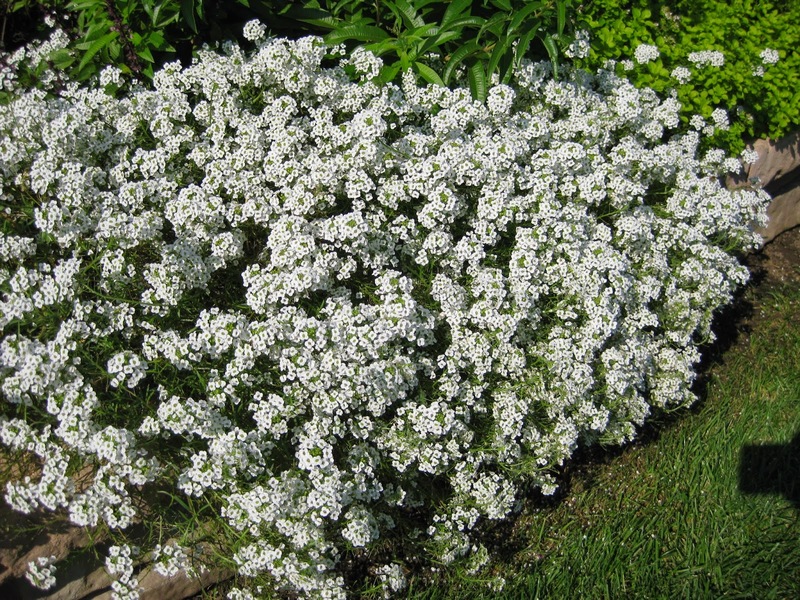 Once established, sweet alyssum is drought tolerant and is a great candidate for the edge of a full sun border, container or hanging basket. 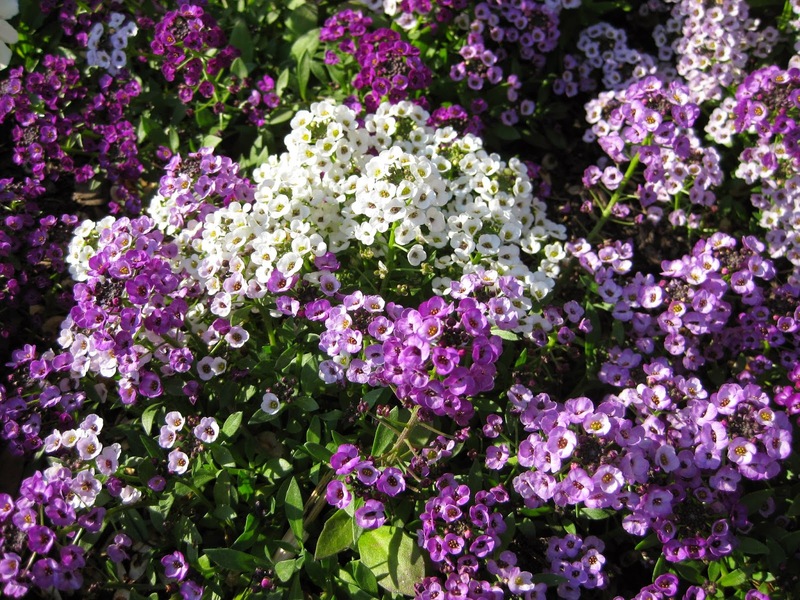 Aside from the traditional white, alyssum can be found in mixed colors to include pink, rose, lavender, purple and apricot. 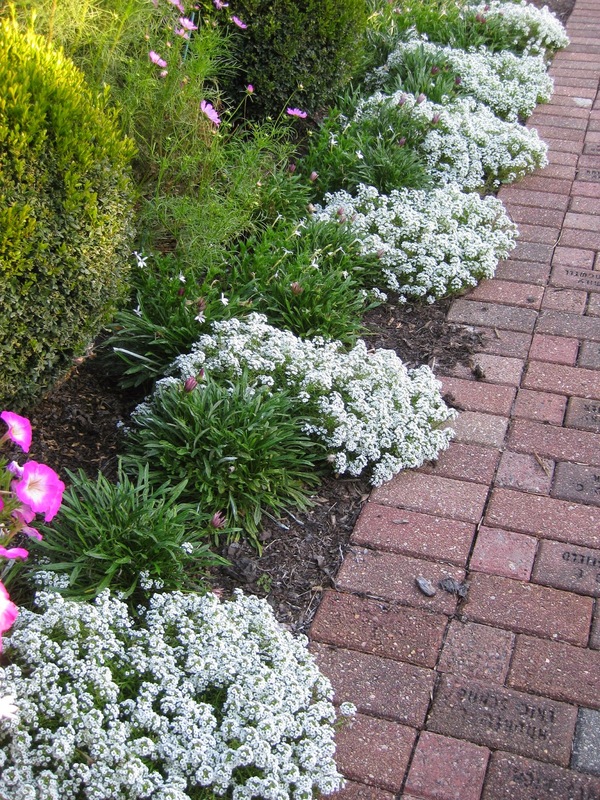 We used lots of the white varieties in our Smelly Garden (back again this year!) themes and as part of our “Moonlit Garden” themes too. 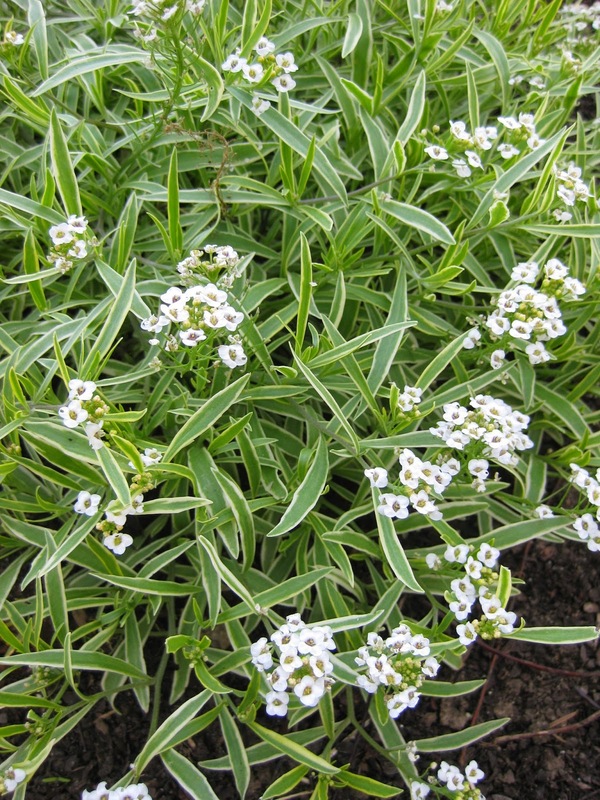 There is even a variegated leaf form (see ‘Frosty Knight’ below…). 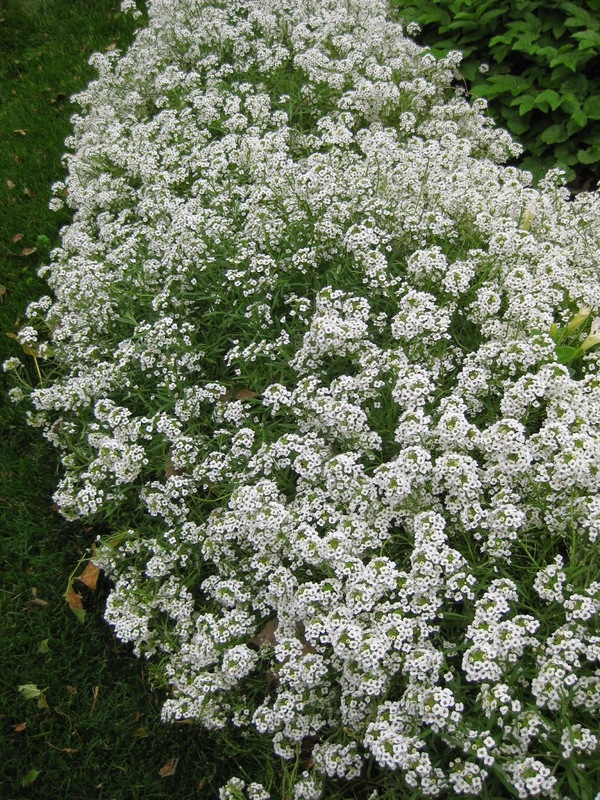 My mom always had sweet alyssum along the sunny and dry side of the house and late in fall, would pull it up, shake out the seeds in that border and it has continued to return and reseed for 25 years with that same “pull and shake” method! Tough as nails and the benefit of long blooms and scent make this an annual of choice!